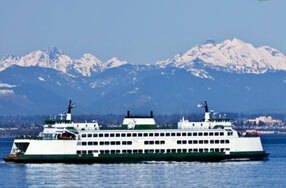 The Washington State ferry system operates the largest passenger service ferry system in the United States with 23 vessels and 20 terminals in Puget Sound and the San Juan Islands. For decades, our award-winning maritime injury lawyers based in Seattle, Washington have represented ferry crews and passengers in claims involving injuries on Washington State ferries. With more than 65 years of combined experience in maritime injury cases, our lawyers have tried more lawsuits against WSF than any other law firm, obtaining several verdicts in excess of $1 million dollars for injured ferry workers and their families. What Should Ferry Crewmembers Do After an Injury on the Ferry? Following an injury on the ferry, it is important that you get prompt medical evaluation and treatment for your injuries. The captain of the ferry has authority to provide paperwork for injured crewmembers to go ashore for medical treatment. You should promptly fill out an accident report for the captain or mate. In filling out the accident report, it is important to identify all factors that contributed to your injury. Was there a foreign substance on the deck? Was the non-skid in the area defective? Was equipment defective or unfit? Was there a violation of the ferry’s Safety Management System? You should also make note of the contact information for all witnesses to your injury or the events leading up to your injury. Whenever possible, obtain photographs of the scene of the injury and any of the equipment involved. What Compensation is Available to Injured Ferry Crewmembers? Under the Jones Act, injured ferry workers are entitled to compensation for their injuries if the injury was caused, at least in part, by an unsafe condition or the negligence of the ferry system or a co-worker. Unlike injuries that occur on land in the workers’ compensation setting, coverage is not automatic and careful analysis of the specific facts of your injury by an experienced maritime injury lawyer will be necessary to determine whether you have a valid claim. The Jones Act provides compensation for lost wages, lost fringe benefits, lost earning capacity, pain and suffering damages, compensation for disability and disfigurement, and other damages depending on the specific facts of your case. The amount of compensation paid to an injured ferry worker will depend on the severity of the injury, the amount of the ferry worker’s economic losses, and whether the injury is temporary or permanent. If the parties cannot agree on the value of the claim through settlement, the claim may go to trial before a jury or judge. If you have questions about the types of compensation you can collect after an injury on the ferry system, you may contact one of our award-winning ferry crew maritime injury lawyers for a free consultation. What are Maintenance and Cure Benefits? Whenever a ferry crew member is injured or becomes ill while in the service of the vessel, they are entitled to maintenance and cure. The crewmember is entitled to maintenance and cure until they reach the point of maximum medical cure or the point at which no further medical treatment will improve their condition. Maintenance is a daily stipend that crewmembers receive to cover room-and-board expenses while they recover from an injury or illness. In the 2013-2015, contract between Washington State Ferries (WSF) and the Inlandboatmen’s Union of the Pacific (IBU), the crew is entitled to maintenance of $35.00 per day plus a “wage supplement” of another $30.000 per day. Any amount paid for “wage supplement” will be deducted from any lost wages owed for damages under the Jones Act under the terms of the collective bargaining agreement. Therefore, when a crewmember is off work due to an injury or illness in the service of the vessel, they will be paid $65.00 per day. If you are a member of the Marine Engineers’ Beneficial Association (MEBA), your maintenance rate in the 2013-2015 contract with WSF is $30.00 per day. If you are a member of the International Organization of Masters, Mates & Pilots, the 2013-2015 contract provides for a maintenance rate of $40.00 per day plus an additional “wage supplement” of $60.00 per day for up to 90 days. These maintenance amounts may increase in future collective bargaining agreements, so it is important to check the most recent agreement. Medical cure is simply payment of your medical expenses to treat your injury or illness. You are entitled to select your own medical providers and don’t have to go to medical providers dictated by your employer. You are entitled to all reasonable and necessary medical treatment that is designed to improve your condition. Kraft Davies, PLLC is proud to have collected millions of dollars for injured ferry workers and their families, allowing injured ferry crewmembers to put their lives back together after serious injuries and the economic fall-out that often follows. We offer a free case evaluation for injured ferry workers and accept cases on contingent fee, which means that we don’t get paid unless we make a recovery for you. Contact us today for a free evaluation.